American guitarist Christopher McGuire commands the many expressive qualities of the guitar with what one critic called “unselfconscious intensity.” His engaging performance style invites people of all ages to feel they are taking part, not just taking a seat. Audiences and critics on five continents fulfill the prediction by Andrés Segovia that “…he will be appreciated and applauded everywhere.” In his 1981 letter of recommendation, Segovia also said he is “…an artist, sensitive, with perfect technique.” His direct influences are as varied as they come, ranging from private lessons with Maestro Segovia to jam sessions with Stevie Ray Vaughn. * Has preformed with some of the great musicians of our time, including Charlie Byrd, Carlos Barbosa-Lima, Bucky Pizzarelli, Howard Alden, Roland Dyens, Carlos Bonell, Karin Schaupp, Robert Guthrie, Van Cliburn Gold Medalist José Feghali and violinist Swang Lin. In October of 2005 Chris shared the stage with the legendary Van Cliburn in a tribute concert for Fort Worth philanthropist Roz Rosenthal. 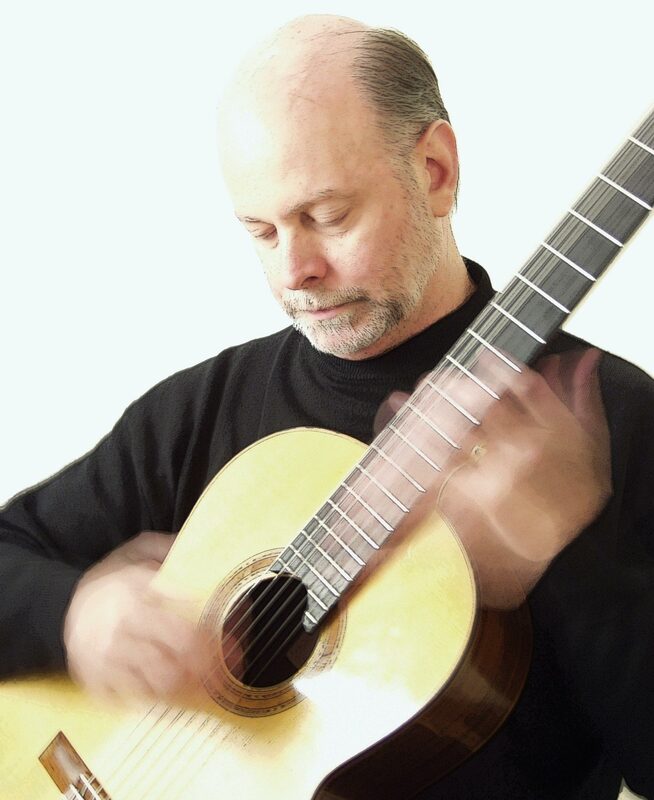 He is currently Artistic Director of the Fort Worth Classic Guitar Society (FWCGS) and the Allegro Guitar Society of Dallas (AGSD).